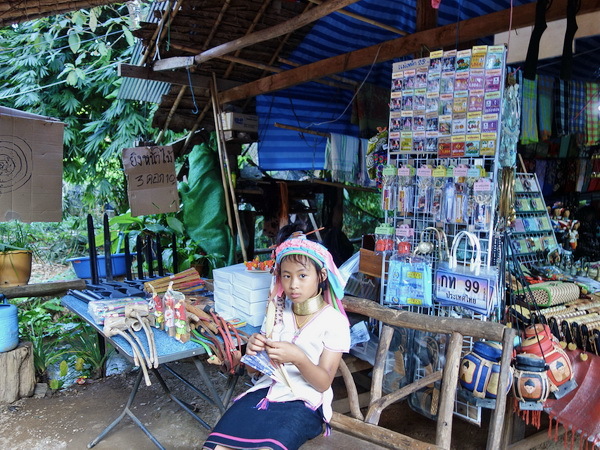 Ban Huai Suea Thao is a village of Long Neck Tribe, the closest from Mae Hong Son city of the three villages. 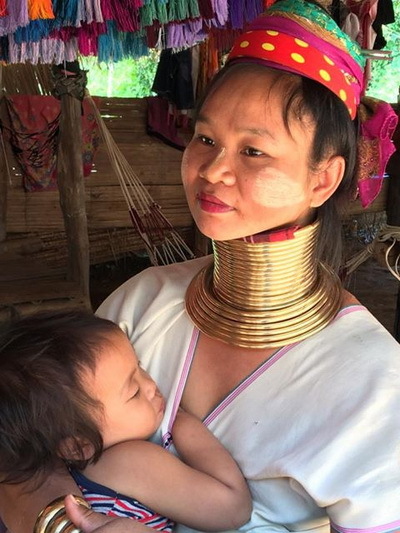 A visit to see the Padaung or famously named ‘Long Neck’ women can be made 30 minutes drive from town. 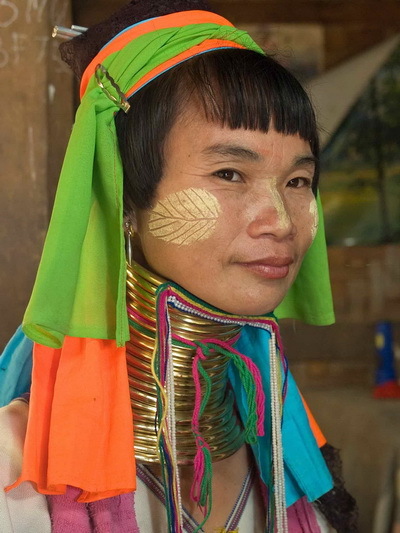 These long neck women a group of the Karen hill tribe are a curious attraction due to the bronze coils they wear around their necks giving them the illusion of having long necks. The coils can weigh up to 22 kilograms and are as tall as 30 centimetres. Karen long neck. A resident of a minority living in Burma Once past the big battle between the forces and the Karen Burmese regime. 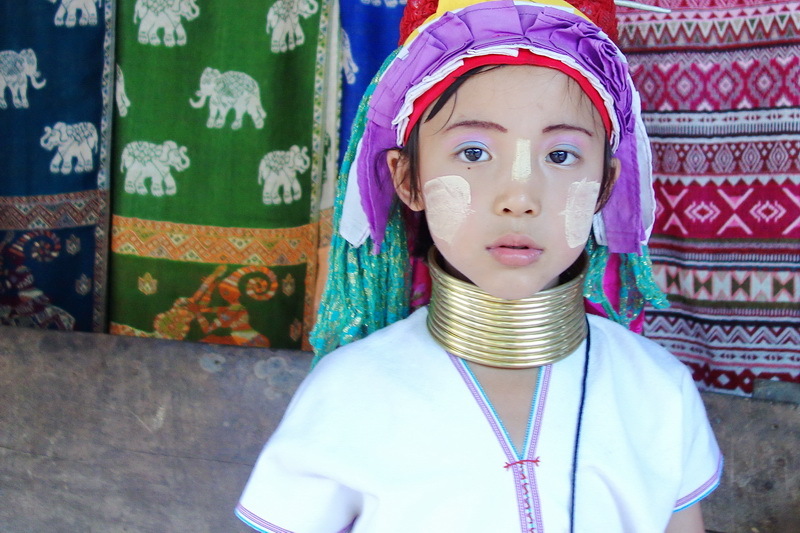 Result in long-neck Karen people affected are immigrants take away the war to live stitch border. And partly to live in Thailand in Mae Hong Son province.Long Neck Karen village.The Mae Hong Son Long Neck Karen to visit the three villages, each with a distinctive different. But no matter where it is too long neck. Ban Huai Sua Tao Long Neck village near the country’s most Car access is a tourist stop to visit Karen Long Neck is a lot here. 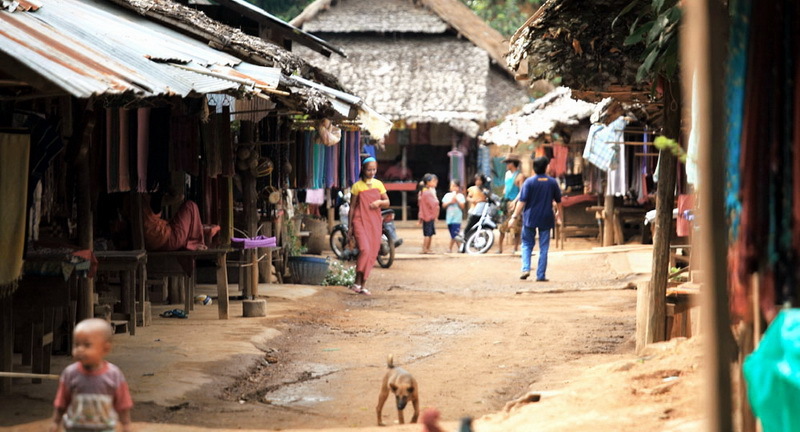 Ban Huai Suea Thao Long Neck Karen here will have about 20 houses war refugees migrated to Mae Hong Son is a long time. Traditional lifestyle. Tourists can come within lifestyle. And take the shift Rieng long neck. If the holiday Saturday – Sunday will also have to talk and take pictures with the children of Karen people. Each person looks cute and chatter. The day they are normal kids go to school. Each house in Ban Huai Suea Thao serves multiple purposes, it is at the same time home, museum, handicraft studio, shop or art scene. In addition, each house will now be sold souvenirs to tourists in order to make money. 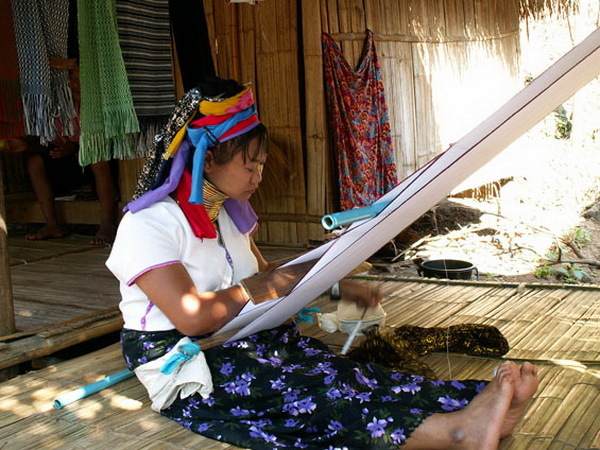 The long neck women weave incredible linens or design beautiful jewelry, clothing, handicraft products which tourists buy for a few bucks money which helps the ethnics feed their families. To Ban Huai Suea Thao, It takes about 30 minutes by car from the Phraya Singhanatracha Memorial (the monument of the first governor of Mae Hong Son) that is located at the foot of Wat Phrathat Doi Kong Mu. From the main highway 108 Highway No. 108. When you see Bon Voyage Gate turn right onto Route 128 drive about 200 m. try to slight left onto Route 1250 and drive pass Klai Rung reservoir about 8.5 Kms. 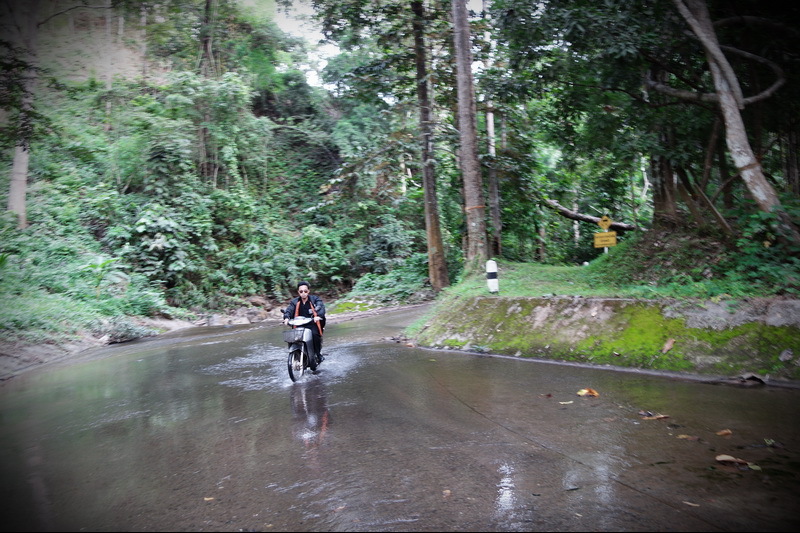 (crossings slippery road with green moss) slight left again onto rural road No. 4012. Admission Fee from non-Thais of 250B per person.